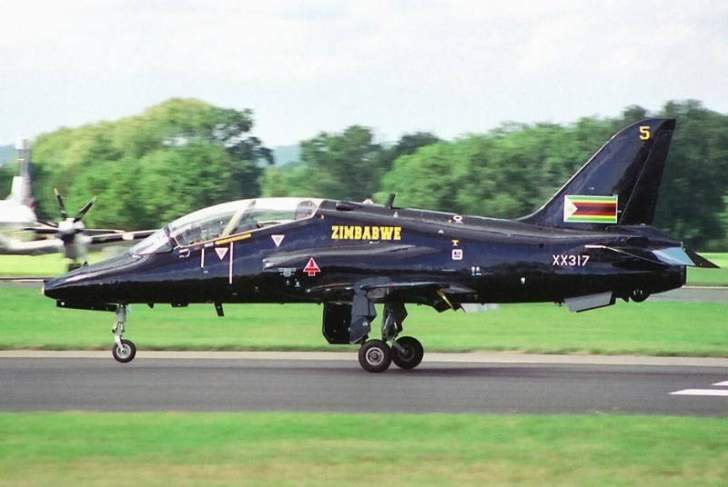 The Air Force of Zimbabwe has embarked on a massive recruitment exercise with vacancies from dietician officer, cooks, to Trainee Pilots. 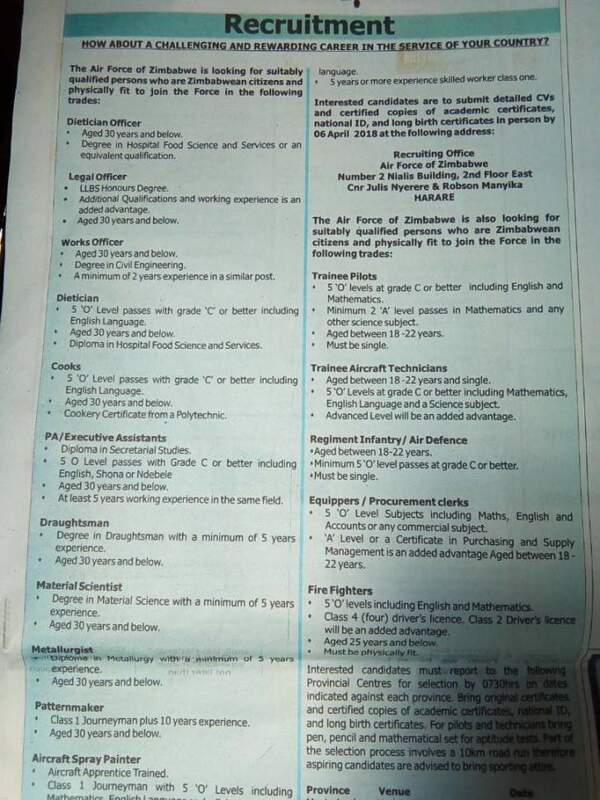 In a vacancy notice, the Air Force of Zimbabwe invited applications to fill the positions of dietician officer, legal officer, works officer, deitician, cooks, PA/ Executive Assistants, Draughtsman, Material Scientist, Metallurgist, Aptternmaker, Aircraft spray painter, trainee pilots, trainee aircraft technicians, regiment infantry/ air defence, equippers/ procurement clerks and fire fighters. • 5 '0' levels at grade C or better including English and Mathematics. • Minimum 2 'A' level passes and other science subject. • Aged between 18 -22 years. • Aged between 18 -22 years and single. • 5 '0' Levels at grade C or better including Mathematics, English Language and a Science subject. • Advanced Level will be an added advantage. • Minimum 5 '0' level passes at grade C or better. • 5 '0' Level Subjects including Maths, English and Accounts or any commercial subject. Aged between 18 -22 years. • 5 '0' levels including English and Mathematics. • Class 4 (four) driver's licence, Class 2 Driver's licence will be an added advantage. • Aged 25 years and below. Interested candidates must report to the following Provincial Centres for selection by 0730hrs on dates indicated against each province. Bring original certificates and certified copies of academic certificates, national ID, and long birth certificates. For pilots and technicians bring pen, pencil and mathematical set for aptitude tests. Part of the selection process involves a 10km road run therefore aspiring candidates are advised to bring sporting attire. • Free medical and dental cover for serving members and their immediate Dependents. • Transport and accommodation allowances.